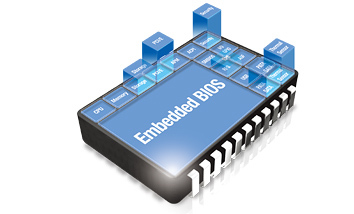 Advantech Embedded Software Services includes Embedded BIOS Services, OS Services and Industrial Cloud Services. Embedded Software Services help decrease design effort and project complexity, and accelerate product development. Advantech Embedded Computing Group provides a full range of embedded boards in different form factors for integration into a variety of industrial chassis. An Application Programming Interface (API) is a set of routines, protocols, and tools for building software applications. A good API makes it easier to develop programs by providing all the building blocks, the programmer then puts the blocks together. SUSIAccess is a cutting-edge, user-friendly, intelligent and integrated API interface to centralize monitoring and management of all your remote embedded devices in real-time. 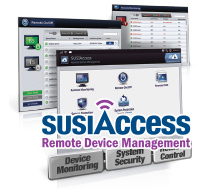 SUSIAccess is designed to be cloud-based and provide on-demand software services so all the Advantech devices can automatically download and upgrade SUSIAccess as needed. 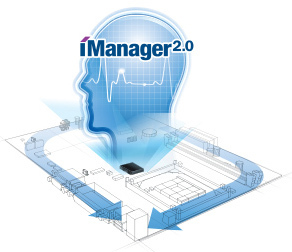 Advantech's iManager is a firmware controller that's built into our embedded platforms and provides several unique security features for embedded developers. Embedded security features include intelligent self-management functions such as a secure, encrypted EEPROM for storing important security keys, watchdog timer and more for speeding up your product's time-to-market.